As the number of deaths from illicit drug overdoses spike again, B.C. health officials discuss the 'unprecedented' measures they're taking to fight the fentanyl crisis that has no end in sight. This story has been updated to reflect revised statistics from the BC Coroners Service for 2016.
llicit drug overdoses claimed the lives of 922 people in B.C. in 2016, the BC Coroners Service revealed Wednesday, making it the deadliest overdose year on record and representing an increase of nearly 80 per cent from the year before. Every part of the province is affected, but Vancouver continues to be the epicentre of the crisis, said Lapointe. 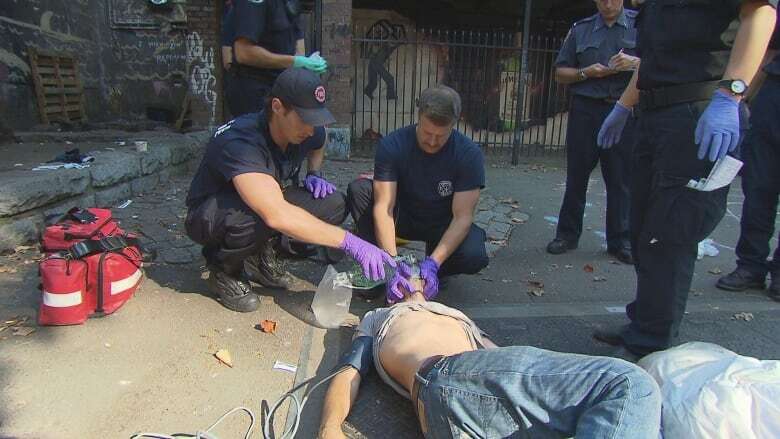 Fifty-one people died of illicit drug overdoses in Vancouver alone in December. Four out of five of the overdose deaths were men and more than half were between the ages of 30 and 49. Fentanyl's potency makes it attractive to drug traffickers who can smuggle in many doses in a small package, and deadly to users because a dose the size of a grain of sand can kill. Unlike previous months, the BC Coroners Service was unable to say how many of the deaths in December involved fentanyl, because with such a high number of cases the analyses are not yet complete and won't be until March. B.C. 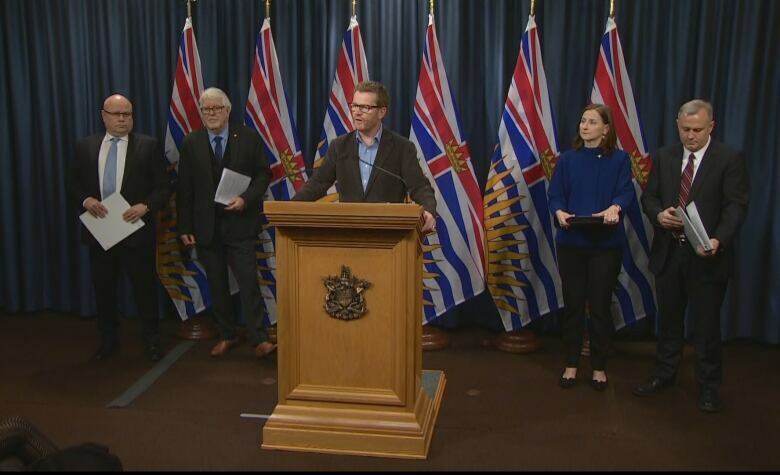 Health Minister Terry Lake said the province was allocating more than $16 million in new money to tackle the crisis, including an additional 40 adult intensive residential treatment beds and 20 for youth. The province is also funding 50 new intensive outpatient treatment spaces, as well as covering the cost of treatment therapies, such as methadone and Suboxone, for people with low incomes. The B.C. government has been criticized for not doing enough in the face of the fentanyl crisis, leaving people with addictions and their families without treatment options. Lake said the province is doing what it can and is discussing the crisis with health officials daily and weekly. "We're taking unprecedented action, said Lake. "We want to be able to provide treatment as quickly as possible, but … we don't have the resources to provide treatment on demand for all conditions." Lake also discussed the need to explore new treatment options for people with addiction, including the possibility of prescription heroin. He and Lapointe agree the death toll would be higher without the response of front line workers, including paramedics and others. "The work going on at the front lines has been incredibly important in saving hundreds and hundreds of lives in our province," said Lake. Last fall, after the number of illicit deaths dipped in August and September, Lake said he was hopeful the public health emergency was ending. "We thought we turned a corner, we really did. And then with the November numbers, it's a whole different chapter in this crisis." One hypothesis for the sudden and staggering increase in November and December is the emergence of an even more potent opioid than fentanyl — carfentanil. However, the coroners service's new equipment to test for carfentanil is not yet operational and won't be until March, said Lapointe. This month, none of the health officials voiced any hope that the end of the crisis is in sight. "This is a long-term strategy," said Lapointe.